Aluminum 11-Piece Cookware Set Just $82.93! Down From $300! You are here: Home / Instagram / Aluminum 11-Piece Cookware Set Just $82.93! Down From $300! From a savory soup to a quick reheat, this 11-piece set from Belgique includes a variety of essentials that give you reliable, non-stick performance all day long. 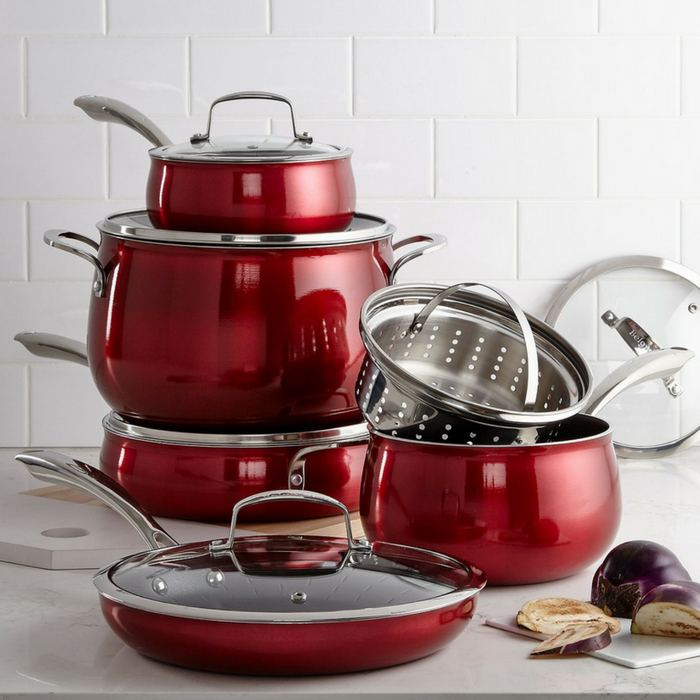 The cookware’s red finish adds a pop of color and style to your kitchen, too.